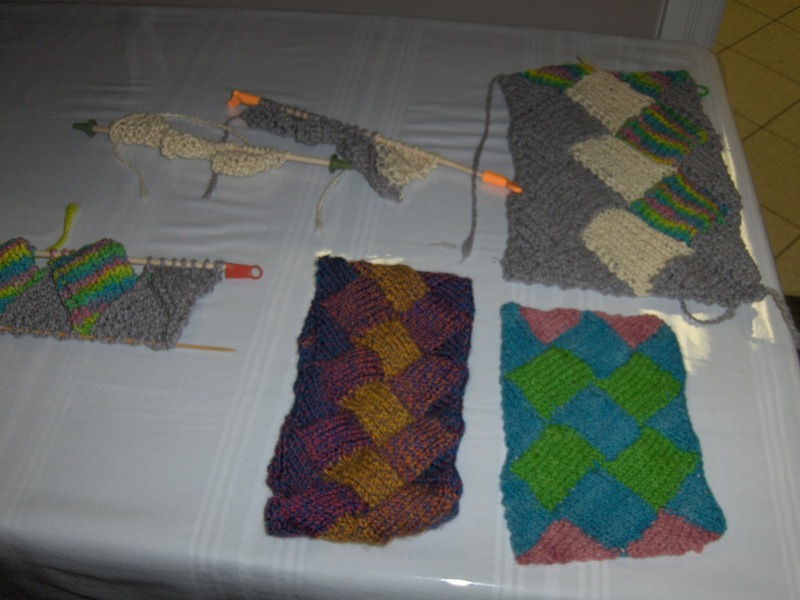 Around the Bay Knitting Guild: Next meeting April 2nd - don't forget your entrelac! Next meeting April 2nd - don't forget your entrelac! I hope you all had an enjoyable long Easter weekend. Our next meeting is Tuesday, April 2nd at 7pm at the Marlatt Family Centre in Dundas. Rochelle Smith from Grand River Yarns will return this month, so don't forget to bring your entrelac projects. 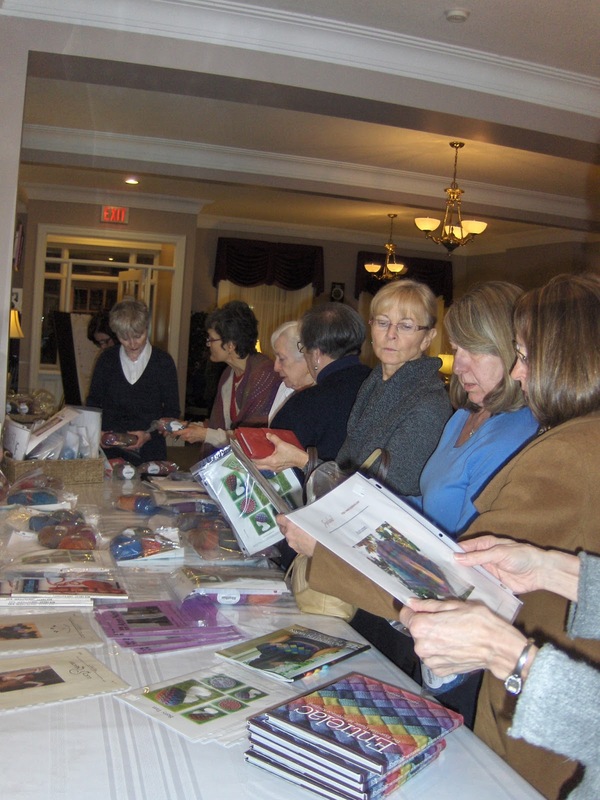 We'll have show-and-tell and other bits of business at the meeting, including the upcoming workshop at St. John's Anglican Church Parish Hall in Ancaster on June 1st. REGISTRATION WILL BE ACCEPTED AT THE APRIL GUILD MEETING. There are only 28 spaces at the workshop so if you want to attend, best to register early. The cost is $45 for Guild members. The workshop will include a session about measurements for garments, as well as a little social knitting time. 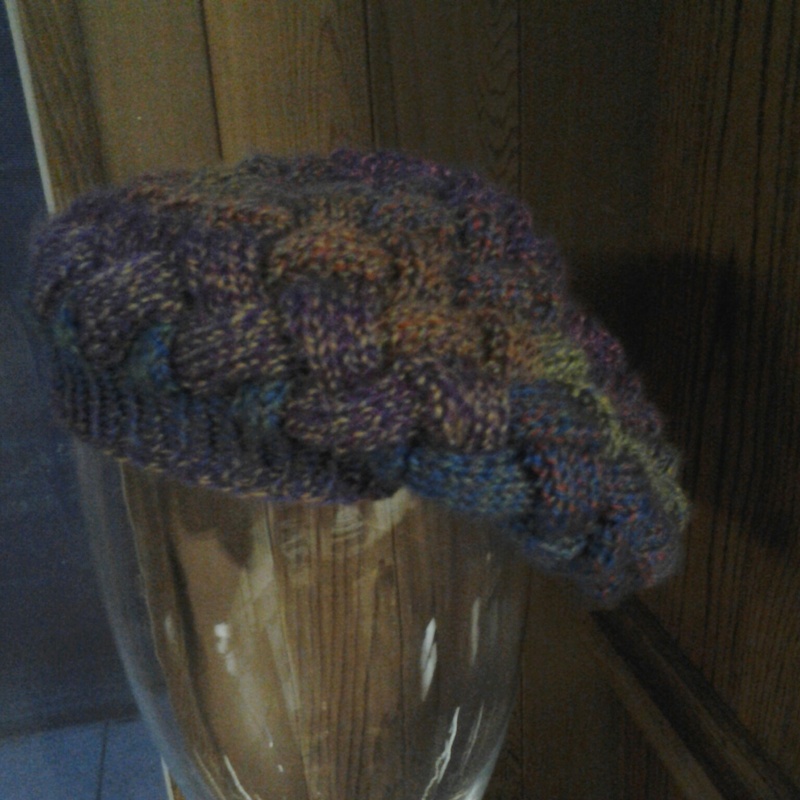 Here are some pics from last month's meeting,including a completed beret from new Guild member Shelley. Well done!